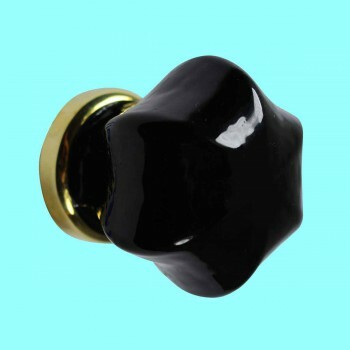 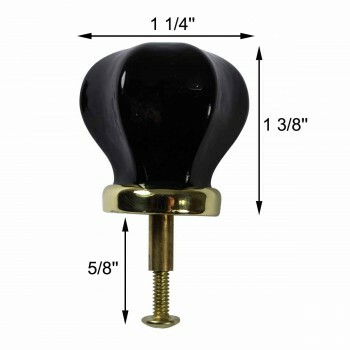 This black glass cabinet knob handle measures 1 1/4" in diameter and has a brass edging. 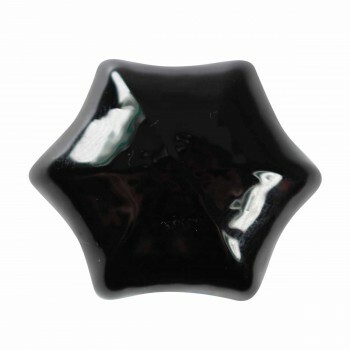 This elegant glass knob from The Renovator's Supply brings timeless style to your cabinet door. The brilliant brass edging won't lose its shine.